Hello there! Hope you have had a fabulous week, I can't believe we are almost into May, where has the year gone?! I'm popping in to share with you a card I have made for the ESAD Retirement List Blog Hop, if you are starting with me, WELCOME! or you might be well into your journey and have just hopped on over from Cheryl Algie's blog. What is ESAD I hear you say? The graphic below explains it so much better than I would 😃. This time last year, when the current annual catty came out, there was a suite of products that caught my eye with its bright pop of colours and quirky, eclectic images, Pick a Pattern. It makes really fun projects! Today I have a bit of a mixed media (aka messy fun!) card for you. I firstly started by spritzing some Flirty Flamingo onto the Shimmery White piece and then spread some Silver Embossing Paste in a thin layer on top of that. I then opened up the Sparkle Embossing Folder and pressed the embossed side (bumpy side, pattern sticking up, not the debossed (smooth) side ) into the paste. I love doing mixed media type techniques like this as you never know what the result is going to be. We did this card in class last night and everyone's was slightly different, with some really cool results. One of the Pick a Pattern Designer Series Paper pieces was scalloped using the scallop die out of the Seasonal Layers Thinlits, this die alone is worth purchasing this set! 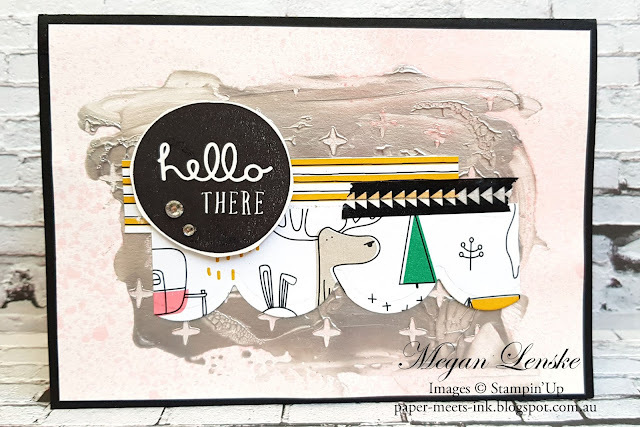 The "Hello There "sentiment from the Pieces & Patterns stamp set is so much easier to stamp now with the Stamparatus. The Stamparatus makes it so much easier to go back and stamp another layer of ink in exactly the same place to build the colour up. 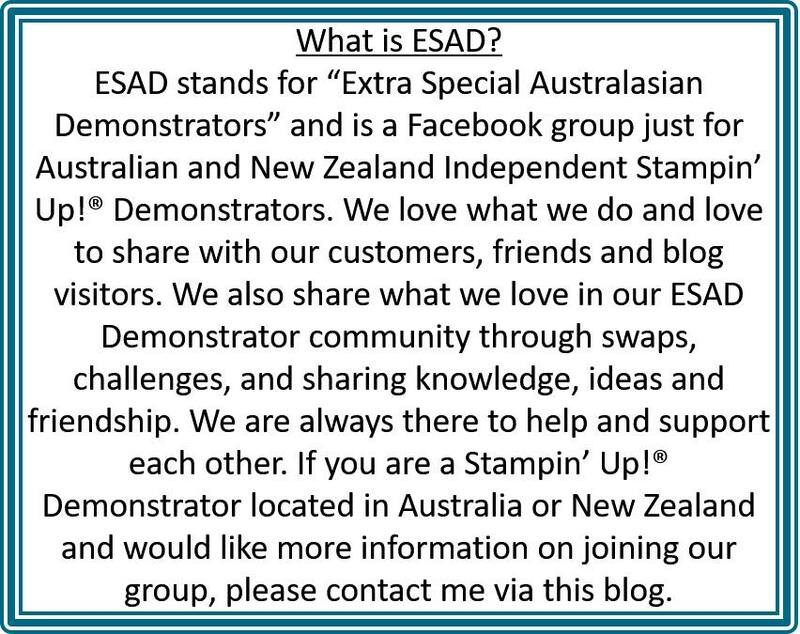 In case you haven't heard, Stampin' Up! 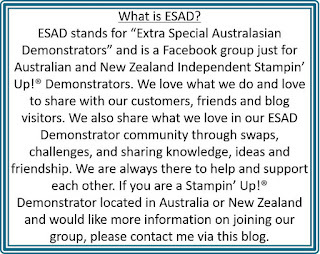 have developed their own stamp positioning tool and it is the bomb! I had another brand before it's release and let me just say, I'm not sure where that old one has got to as it is not nearly half as good as the Stamparatus! 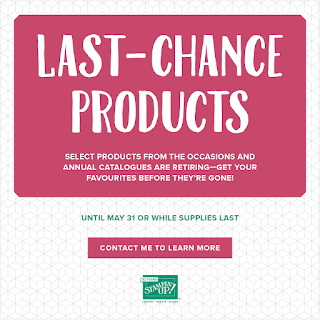 Customers who didn't manage to secure one in the pre-order release can purchase one when the new catalogue comes out June 1st. Click the image below to see a YouTube video explaining how it works and let me know if you would like me to get you your own on June 1st. Another example of how awesome the Stamparatus is, is demonstated on the inside of my card. See that row of little flowers? The actual stamp is only four flowers long. 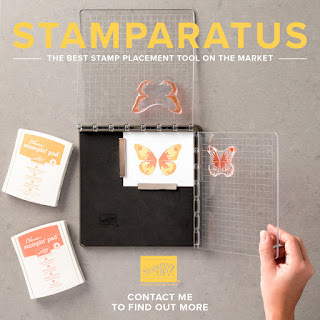 The Stamparatus' unique hinge feature allows you to move your stamp along in perfect alignment, no more wonky lining up, it does it for you. It's a bit hard to explain in words how this is achieved, the easiest thing would be for you to watch that YouTube video I linked above 😉. The finishing touches are a piece of Pick a Pattern Washi Tape and some Rhinestone Basic Jewels. Enough from me! You need to keep going and see what everyone else has to show you. Your next stop is Beryl Crisp, click the arrow below and you will magically hop on over to her blog! 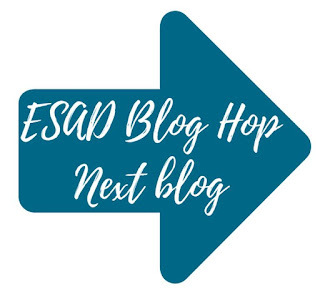 Also, if you get lost along the way, there is a list of all the participants for you at the end of my post, you can also click on a person's name there and be magicked over to that blog. Great card Megan ! I love how you’ve used mixed media to add texture to your cute card ! Great card. Thanks for sharing your mixed media technique. Fantastic card, Megan. So vivid and such a fun layout. Love the texture and layers and what you have created using this DSP. Amazing card Megan, I love how you've created the texture in the embossing paste, I must try this. Oh! Another technique to add to my list. I love the mix of textures and patterns you've combined. Stunner! 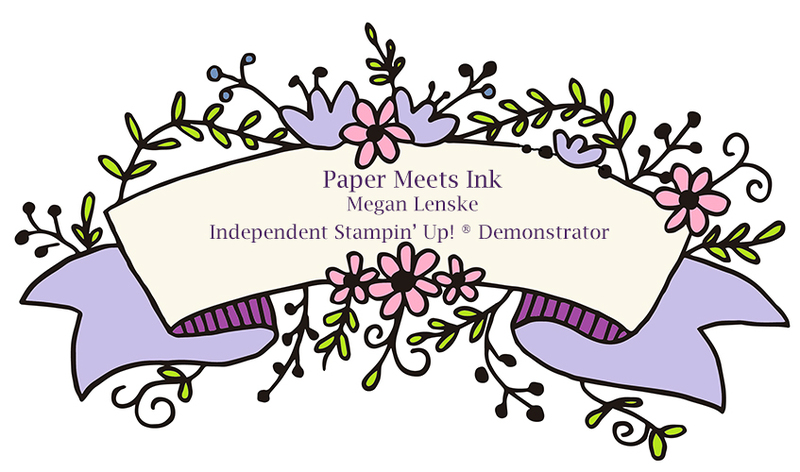 Just Add Ink - Guest Designer! !